These bath salts are so much fun! There is nothing more refreshing than a big cup of green tea in the morning. I prefer mine with a little lemon and honey, others like is just plain or maybe with a little peach! My love for green tea inspired me to make these refreshing Green Tea Bath Salts. 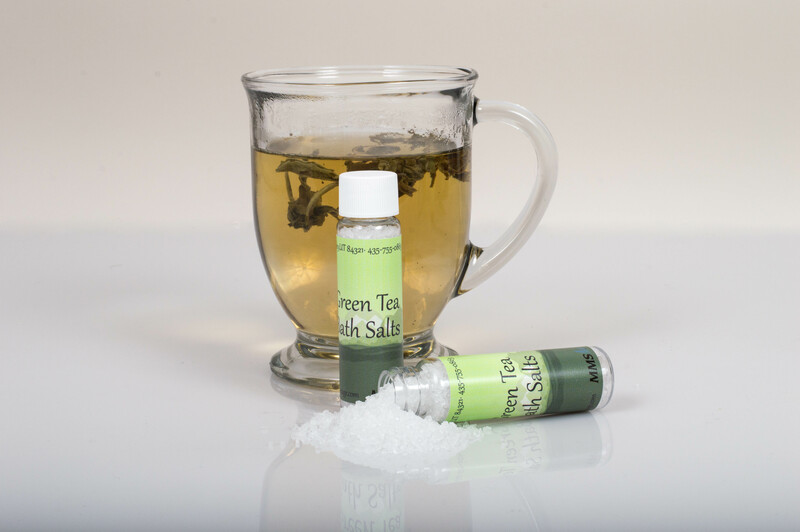 Our Green Tea Fragrance Oil has a unique but subtle smell that would be great in a variety of things, not just bath salts. Check out this recipe from Taylor for an amazing Green Tea Cream. The easiest way to make these bath salts is to weigh everything into a bag. This will keep you from dirtying too many dishes and it will help save time. Once everything is in a bag, close up one end and shake it until everything is completely mixed together. Then using a funnel, you can put it into the container of your choice. Last but never the least, label and enjoy!